In the U.S., patients harmed during medical care have few avenues for redress. The Danes chose to forget about fault and focus on what’s fair. COPENHAGEN — It was a distressingly close call. A patient had been sent home from the hospital with instructions to take a common medication at a dose that would have poisoned her. When Dr. Ole Hamberg heard about the mistake, he decided to investigate. 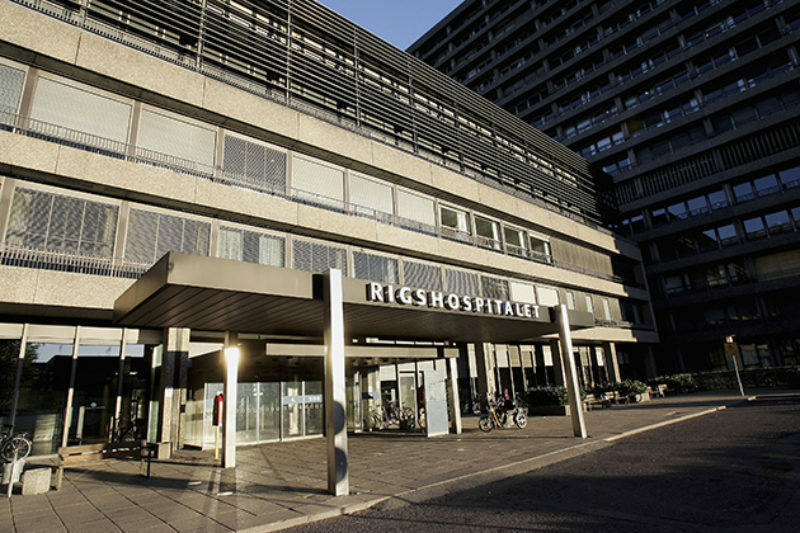 Hamberg, the head liver specialist at Rigshospitalet, the Danish national hospital, soon found something troubling. The hospital’s electronic prescribing system was mistakenly prompting doctors to give the drug, methotrexate, for daily use when it is safely taken only once or twice a week. Patients throughout Denmark were being poisoned, Hamberg learned, thanks to the medical error. At his hospital, Hamberg made sure prescribing protocols were fixed and doctors and patients were informed. The problem quickly abated. Hamberg was able to rapidly see a dangerous pattern because of something that doesn’t exist in the United States: A comprehensive national program to compensate victims of patient harm — and to learn from them by collecting and analyzing the data their experiences provide. The Danish system offers lessons for policymakers in the United States, where medical harm remains widespread and the mechanisms for addressing it are often cumbersome and adversarial. The Danes’ primary focus is on helping patients who have been hurt by the health care system. While the reams of data gathered from claims aren’t used to publicly rate doctors and hospitals, or to systematically search for bad actors, they can help flag providers who have repeat errors and may pose a risk. For the past three years, ProPublica has asked patients who’ve been harmed and their family members for their stories. We’ve heard the same things time and time again: After a medical error comes a struggle to get straight answers and accountability. Financial compensation for additional care, pain, disability or lost work is reserved only for a relative few. The U.S. system for compensating injured patients — medical malpractice lawsuits — effectively shuts out patients when the potential damages are small. Proving negligence, the usual standard for winning compensation, is difficult. There are scant incentives for doctors and hospitals to apologize, reveal details about what happened, or report errors that might unveil a pattern. Denmark offers a radically different alternative, as do similar programs in other Scandinavian countries and New Zealand. To be sure, these countries have nationalized health care systems, unlike the public-private model in the U.S. But alternative responses to patient harm have been tried on a smaller scale. Virginia, for example, has a program designed to compensate for severe neurological childbirth injuries that is similar in some ways to the Danish system. Common to all these programs is a commitment to provide information and compensation to patients regardless of whether negligence is involved. That lowers the bar of entry for patients and doesn’t pit doctors against them, enabling providers to be open about what happened. Denmark’s compensation program has been in place since 1992, replacing a lawsuit-based approach much like that in the U.S. The change followed a series of high-profile cases in which patients weren’t able to get compensation through the courts because it was too difficult to prove their doctor did something wrong. The Danish parliament adopted a system similar to those used in Norway and Sweden. Today, medical injury claims aren’t handled by the Danish court system but by medical and legal experts who review cases at no charge to patients. Patients get answers and can participate in the process whether or not they ultimately receive a monetary award. Filing a claim is free. Patients are assigned a caseworker to shepherd them through the process. The hospital or doctor is required to file a detailed response, which patients may rebut. Patients have access to their complete medical record and a detailed explanation of the medical reviewers’ decisions. All of this is available for patients and their families through an online portal, which alerts them when there are developments in their claims process. Reviewers most often apply one of two criteria, said Peter Jakobsen, chief consultant for legal affairs at the Patient Compensation Association, the body that adjudicates claims. The first is the “specialist rule:” How did the treatment compare to care an experienced specialist would provide? A second common criterion is the “fairness rule.” If the patient experienced a severe medical event that occurs less than 2 percent of the time, he or she is eligible for an award. An unusual drug reaction or an infection after a knee replacement are examples. Patients may file an appeal at no cost if their claim is rejected. Appeals are reviewed by a seven-member board of doctors, patient representatives, an attorney and two representatives of the Danish health care system. Patients may request district court review after an unsuccessful appeal, although that happens in only about 2 percent of claims. If a patient believes negligence was involved, it can be reported to a parallel system for professional discipline. Overall, about one in three patients who file a claim is compensated. The minimum eligible claim is under $2,000, and the average paid out is $30,000, or about 15 percent of the typical amount awarded in lawsuits against U.S. doctors. However, it’s estimated that more than seven times as many claims are filed per capita in Denmark, and about four times as many patients per capita receive some award. A claim for a few thousand dollars would not be worth it in the U.S. system because of the high cost of pursuing lawsuits. The Danish health care system helps patients file medical injury claims by providing an independent nurse with legal training to assist at every hospital. Because physicians don’t have the threat of malpractice hanging over them, they also can be helpful to patients who have been harmed. Danish doctors are known to file compensation claims on behalf of patients, which occurs in about 10 percent of the cases. All Danish physicians are legally required to tell patients when they’ve been harmed during medical care. That is not always the case in the United States, where state disclosure laws vary and almost never cover the information patients most desire. Hamberg said he recently saw a patient whose liver was damaged from taking a medication for too long, a decision made by her doctor. “It was very natural for me to say, ‘You have been treated not to the best standard,’ ” he said. Hamberg told her she could seek compensation, “and I hope she does,” he said. The Danish system is not perfect. Although the data collected from claims is freely shared with researchers, injury and error rates are not published so that patients could use them to select providers. By design, there is not communication between the claims and disciplinary systems. The case of 59-year-old Jørgen Hemmer illustrates other potential difficulties for patients. After surviving a bout with colon cancer in 2007, Hemmer underwent CT scans every six months. In July 2009, he was pronounced cancer free. Then, six months later, blood appeared in his urine. Doctors said he needed chemotherapy for cancer in his bladder and on his pelvis. Those treatments failed, and Hemmer was told his best hope was surgery: He would lose his right hip and leg, and his bladder. The rapid change in prognosis — from cheery to grim in a few months — made Hemmer suspicious, and he requested his medical records. He went through them at his dining room table and made a frustrating discovery: The Danish government had subcontracted reading of CT scans to a firm in Barcelona. A note from 2010 in his file indicated the subcontractor’s radiologist had missed the cancer. Just getting answers about what went wrong brought him some closure, Hemmer said, but he also wanted compensation for the drastic change in his life. A soldier in the Danish army, Hemmer had been transferred to a job he could still perform as an amputee. But in a year, he will face mandatory military retirement and will need other work. In the summer of 2010, he filed a compensation claim. Hemmer was shocked when he was rejected — on grounds that the system wasn’t responsible for an error by a subcontractor outside of Denmark. “It was just as difficult to understand as when they told me, ‘We have to take your leg,’ ” he said. The Danish Cancer Society agreed to help him file an appeal, which initially was rejected as well. But the compensation appeals board later reconsidered and offered him $5,000. With guidance from an attorney affiliated with the Cancer Society, he filed an appeal to district court. Finally, five years after his initial filing, the court concluded an error had occurred, and the Patient Compensation Association agreed to pay him $110,000. Hemmer said the amount isn’t what he hoped for. But the government helps in other ways, by providing aides to help with household chores and to tend his garden. Most of his medical expenses are covered by the government health care system, which is free to Danish citizens. Grafting a program like Denmark’s onto the U.S. health care system would be a profound departure, but some experts say it’s possible and has some precedents. Virginia and Florida have compensation programs that cover the lifetime costs of infants who are harmed by certain neurological injuries during birth, regardless of negligence. In Virginia, hospitals and obstetricians in the state pay into a central fund, which then pays out to successful claimants. Nearly all births in the state are covered by this system. Dr. Allen Kachalia, the chief quality officer at Brigham and Women’s Hospital in Boston, has researched Denmark’s program and others like it. He said something similar merits introduction and testing on a small scale in a single state or privately-owned health care organization. Funding could come from savings in the inefficient malpractice system, he said. According to a 2010 study by the Harvard School of Public Health, $5.7 billion is spent annually in the U.S. on malpractice claim payments, but almost as much — $4 billion — goes toward administrative and other claims expenses. That overhead rate is much higher than Denmark’s, which is estimated to be less than 20 percent. Proposed alternatives to the U.S. medical malpractice system have been strongly opposed by some powerful interest groups, most prominently trial lawyers. Paula Schulte couldn’t survive a cascade of medical mistakes. After that, her family couldn’t get accountability. Read the story. Guided by experts, ProPublica calculated death and complication rates for surgeons performing one of eight elective procedures in Medicare, carefully adjusting for differences in patient health, age and hospital quality. Explore the app. Scott Eldredge, an attorney in Englewood, Colorado, and president of the National Medical Malpractice Trial Lawyers Association, said he is “completely opposed” to a compensation system like Denmark’s. Eldredge acknowledged that the U.S. malpractice system is “tilted in favor” of medical providers, and that most patients can’t get an attorney because their cases aren’t worth enough money. He said he turns down 98 out of 100 of cases he reviews. But Eldredge said jury trials ultimately are more transparent and fair because patients are represented by experienced attorneys and have their claims decided by peers. Compensation for successful cases would likely be less with a Danish-style system, he said. Lisa McGiffert, project director for the Consumer Reports Safe Patient Project, said a system like Denmark’s could offer important benefits. Most U.S. patients are never told the full story about what happened to them, she said, and lawsuits are only an option for a tiny fraction. Larger awards would be necessary, however, to fairly compensate patients, McGiffert said. That’s because unlike Denmark, U.S. patients still need to pay for medical care and have a less comprehensive social safety net if they are disabled or out of work. In Denmark, Kim Mikkelsen, an epidemiologist, is responsible for the database of 120,000 claims housed at the Patient Compensation Association. In minutes he can query a massive amount of useful data, as he demonstrated on a recent visit to his office, housed in a modern structure overlooking the South Harbor with a panoramic view of central Copenhagen. In less than five minutes Mikkelsen pulled a record of every hospital fall injury reported in Denmark during the last five years. Falls are a major problem in U.S. hospitals, but there’s no such centralized data that would allow researchers to identify patterns. The Denmark data has revealed many areas for improvement. One cluster of cases involved osteoporosis related to a common type of hormone therapy. Doctors determined that the issue could be largely addressed by giving patients calcium and Vitamin D. Another analysis identified a pattern of missed breast cancer diagnoses that paved the way for new practices. “We help direct focus on preventable, serious and widespread types of injuries,” Mikkelsen said. The association itself has limited resources to analyze its data, but researchers like Dr. Morten Hedegaard, head of obstetrics at the national hospital, are able to dig in. In November, as Hedegaard walked along his busy ward — more than 5,000 infants were born at the hospital in 2015 — it is clear he is passionate about delivering babies. “It’s so meaningful,” he said. As a trained epidemiologist, however, Hedegaard’s second passion is finding patterns in data. Using 10 years of compensation claims, Hedegaard conducted a study of birth injuries. He determined that doctors and midwives were not properly reading fetal monitoring strips, which led to delays in care. The finding resulted in a nationwide program to retrain and recertify all 2,000 providers who deliver babies in Denmark. Now Hedegaard has a Ph.D. student using data to see if recertification worked. The data could be used even more effectively, Hedegaard said. For example, it could be monitored in real time to “identify individual hospitals or clinicians who do not have the quality they should have.” One private hospital with a high rate of complications after knee replacements was identified using claims data, Hedegaard said, but only after several years. Hedegaard and Hamberg said that if a doctor in their departments had multiple claims for mistakes, they would intervene. This is a less direct way that the data can be used to hold doctors accountable, Hedegaard said. It’s certain there are many more clues in the claims data that could help make patients safer, Hedegaard said. Without such data, he said, that knowledge is lost.